Are you in the process of trying to make a repair to your car right now? If so, one of the only things holding you back might be the price of the parts that you need to get your car back out on the road. One way to get around this is by taking a trip to an auto salvage yard to see how they might be able to help. Here are some ways auto salvage yards can make your auto repairs a lot less expensive. They give you access to a huge auto parts inventory. Some people are under the incorrect impression that auto salvage yards are filled with little more than unwanted junk; however, this couldn’t be further from the truth! Auto salvage yards are filled with tons of used car parts that are still in perfectly good condition. Even if you’re looking for a very specific part, you can more than likely find it at an auto salvage yard. They sell you used parts for just a fraction of what you would pay for new ones. 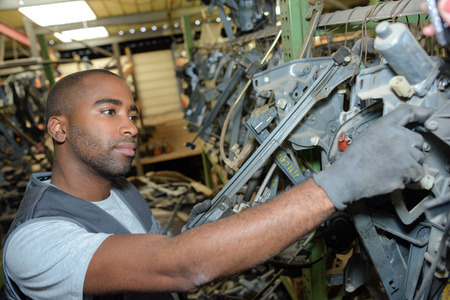 The auto parts that you’ll find at an auto salvage yard will, in all likelihood, be used. But don’t be scared off by that; they’re parts that are still in good shape and will cost just a fraction of what new ones would. You can save a significant amount of money by going with parts from an auto salvage yard as opposed to parts from an auto parts store. They tell you more about the parts that you need for your vehicle. Those who work at auto salvage yards are quite knowledgeable about a lot of the parts that they carry. This will give you an opportunity to ask questions about the parts you need and the repairs you need to make. You can learn some invaluable information by spending just 15 or 20 minutes talking to someone at your local auto salvage yard. If you want to save a bunch of money making your next auto repair, take a trip to an auto salvage yard and find out how they can help you. 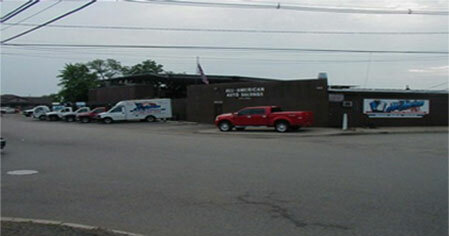 All American Auto Salvage of Rahway, NJ has a large inventory filled with all the auto parts you could ever ask for. Call us at 732-574-1945 today to see if we have what you need in stock.